NOTE PRICING CHANGES TO THOSE ADVERTISED!! · Copperfield directed by John Sayles is an adaptation of the original Charles Dickens story. Runs for 50mins and will perform in the Saturday afternoon session. · Little Women – by Marisha Chamberlain and directed by Matthew Bapty, this is a one act adaptation of the classic story which picked up Best Junior Play, Best Director and 3 acting awards at the recent Murrumba Drama Festival. It is performed by the ROAR Academy Training and Junior Troupe members. Runs for 20mins and will perform in the Sunday session. · The Chocolate Affair - an absurd twist on a serious eating disorder performed by ROAR Academy Senior Troupe members. 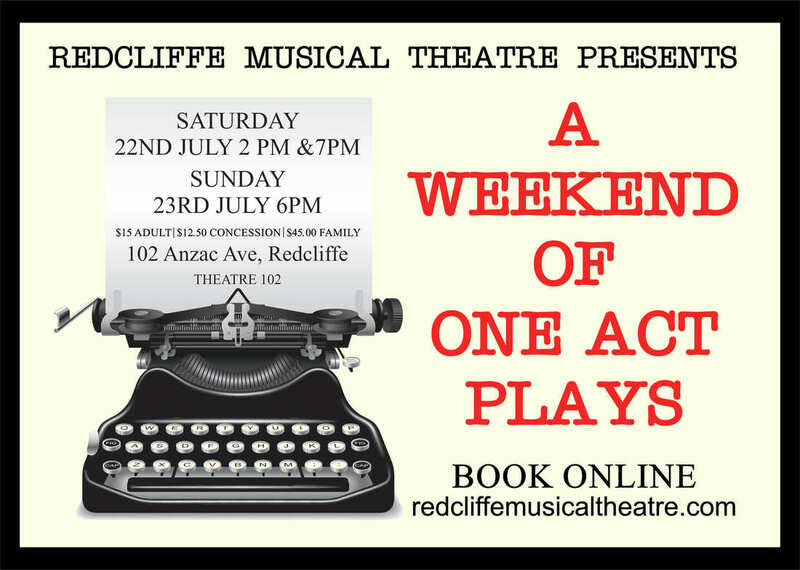 This play will compete at the upcoming Beenleigh, Ipswich and Sunshine Coast Festivals in their 10minute play sections. Runs for 10mins and will perform Saturday afternoon and Sunday. · The Fifteen Minute Hamlet written by Tom Stoppard - Shakespeare's classic tale in 15minutes with a full encore. This is performed by the ROAR Academy Junior Drama Troupe and has already won Best Youth Play and Best director at the Murrumba Drama Festival as well as Best Youth Actor and Best Youth Actress in a comedy role. Runs for 20mins and will perform in all sessions. · Big Guns - A Western Melodrama written by Madeleine Johns. Loosely based on the Hollywood Cowboys and Indians movies of the 50s and 60s, this is frivolity and fun at its best performed by the ROAR Academy Junior Drama Troupe. Scoring awards for best supporting actor and actress at the Murrumba Festival this is one not to be missed. Runs for 20mins and will perform on Saturday evening and Sunday. · The Glory of the Teabag – A parody of “Romeo and Juliet” in Shakespearian Style where gallant soles fight over trivial matters that being the shape and form of the glorious tea bag. Performed by the ROAR Academy Junior Drama Troupe this play won MOST ENTERTAINING play at the Dalby Drama Festival and picked up an encouragement award for Alice Simpson who plays Penelope. This play runs for 30mins and will perform in all sessions. There will be a different programme of 4-5 of the above plays on each session.